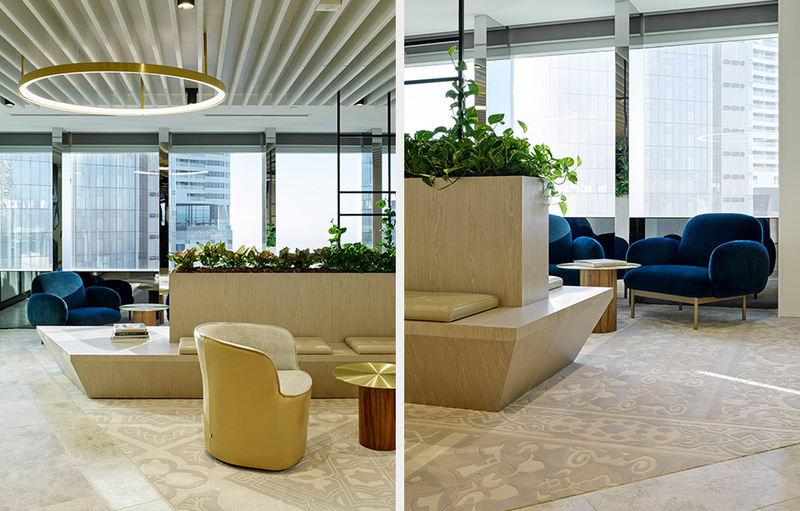 The brief from Pitcher Partners requested spaces that were classic, refined and timeless, providing a place of work that would care for employees on an individual basis. Client areas needed considered, restrained finishing and overall the spaces needed to exude a contemporary and professional feel. 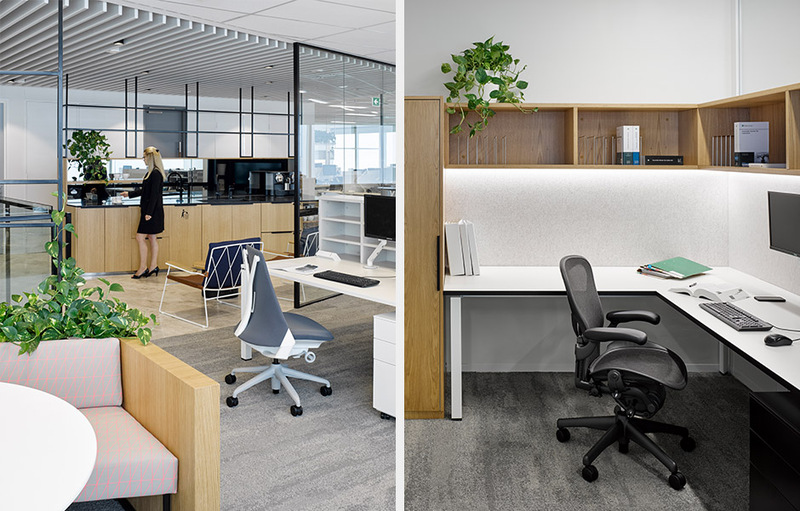 The outcome needed to support Pitcher Partners’ transition to a ‘paperless’ workplace, integrating technology and aesthetic appeal to create a collaborative and flexible working environment. ‘Acme’ is the point at which something is at its most highly developed – a summit or peak. This simple ethos drove the design solution, manifesting in client-facing spaces planned prominently in the stack, with the working floors – the roots of the business – designed with emphasis and at the base. 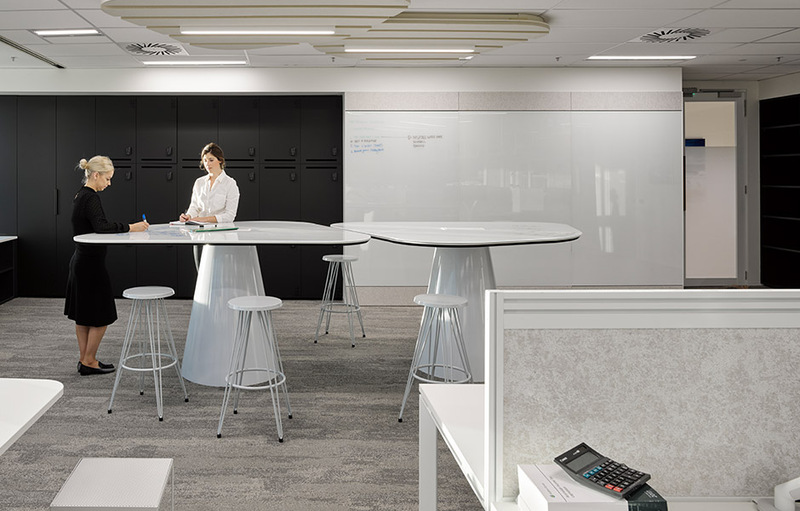 Sections of the working floors were customised to suit the occupying workgroup’s functional requirements, including access to storage, writable surfaces, utilities and informal meeting areas. 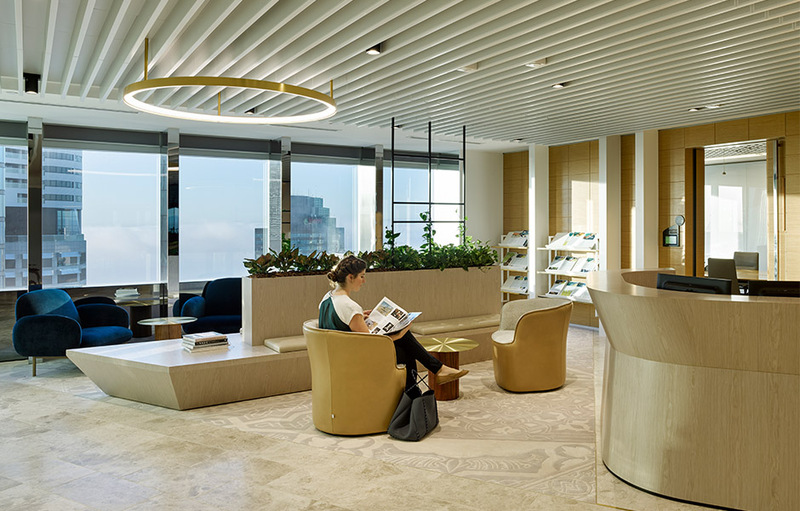 Individual office infrastructure was reduced, in favour of an open plan layout, thereby allowing access to views and natural light for all staff – supporting the requirement to create a sense of physical and cultural ‘openness’. Localised print stations have been discontinued, and larger, centralised utility hubs planned into the space. Partial re-use of existing meeting room infrastructure in front of house enabled greater investment in the back of house spaces, and consequently an investment in the Pitcher Partners staff. The new communal staff breakout with an interconnecting stair, draws staff from across the floors enabling interaction and fostering a sense of community. The stair serves as a vertical connection point, linking all breakouts within the floor plates. The importance of sight lines and ‘openness’ are exemplified in the impressive views from each of the lift lobbies, through to the perimeter glazing and beyond. 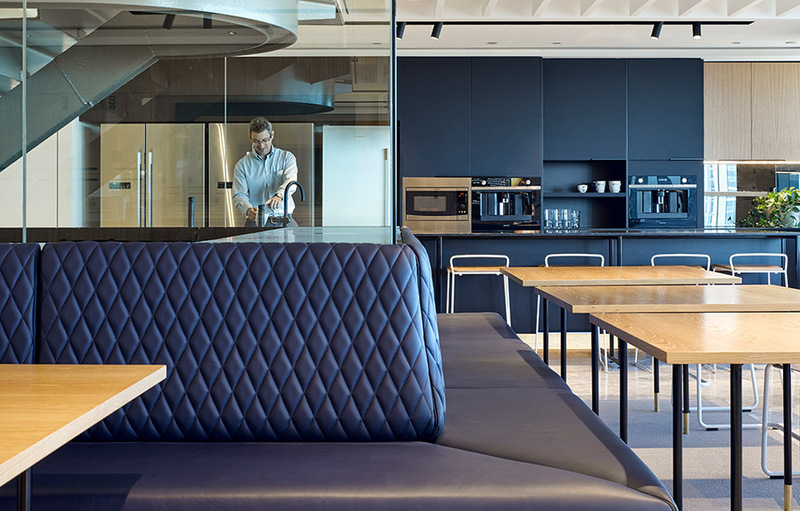 It was decided in the project’s infancy to re-use existing front of house meeting room infrastructure, both fitout and furniture where possible, to enable greater investment in staff areas. An existing internal stair, hydraulic points, mechanical and AV infrastructure were all re-used to varying extents. Front of house joinery and operable walls were also re-used to be in keeping with the new aesthetic. An integrated base building make-good across all floors also assisted with reducing waste in both material and available capital. The finished product uses low VOC paint, sustainable E0 board for all joinery and new base building carpet throughout (with an 89% recycled content). Significant indoor planting has assisted with air quality and an overall feeling of wellness within the workplace. The new Pitcher Partners workplace challenges the company’s conceptions of ‘workplace’, and seeks to deliver a place of work for ‘now’ and into the ‘future’. It is both classic and inspiring and has been embraced with enthusiasm by its occupants. Pitcher Partners provides accounting, auditing and advisory services through a national association of independent firms, each working to ensure clients receive the highest levels of service and advice, no matter where they are located. Pitcher Partners specialises in servicing the middle market with a mission to be recognised as the leading firms serving this market.